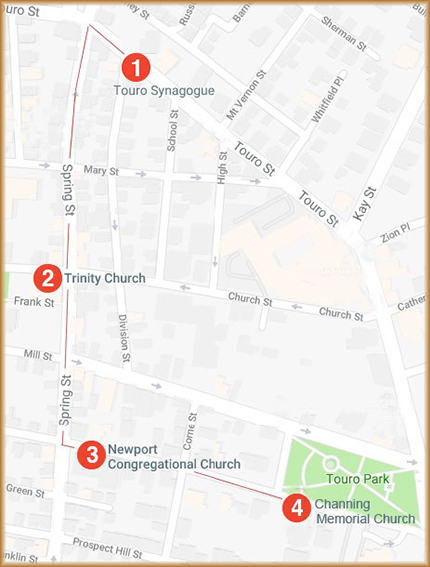 You may wish to allow time to explore the exhibits at Touro Synagogue’s Loeb Center. 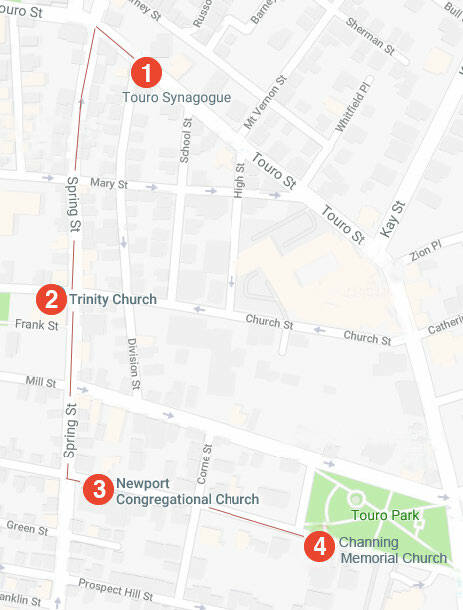 Discover how Newport’s colonial community laid the groundwork for our First Amendment rights. The Center opens at 9:30am and admission is included in the price of a Four Faiths ticket.